We are in an extremely unique and fast-moving sellers market. This can make it difficult for buyers, especially first-time buyers, to compete. 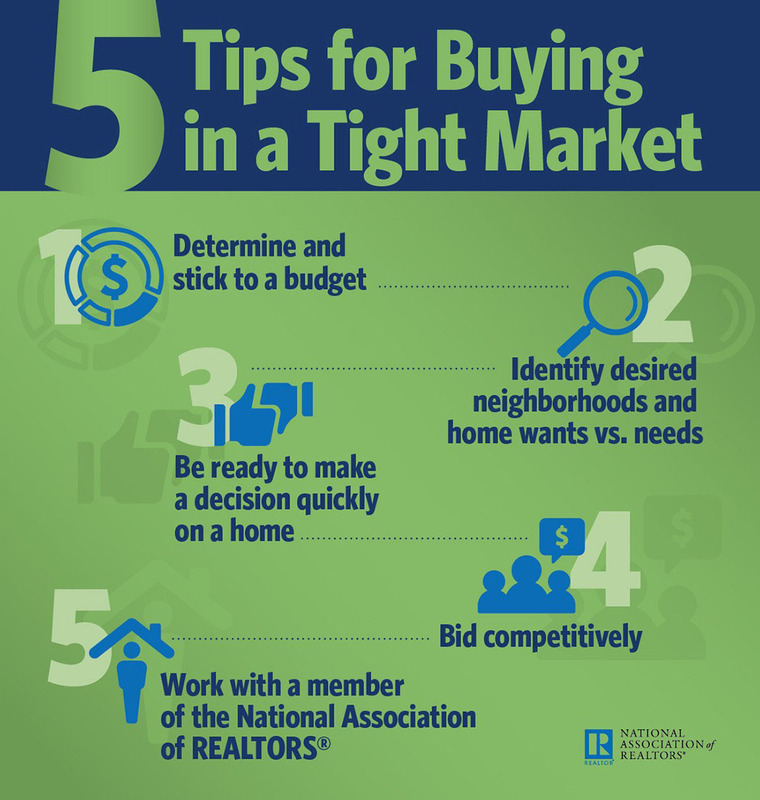 Use these tips to help you better navigate this CRAZY market. 1. Determine and stick to a budget. Before beginning the house hunting process, prospective homebuyers should receive pre-approval from one or more lenders to verify the amount of money they are qualified to borrow. Then, after taking into account additional costs of ownership such as taxes, utilities and insurance, buyers should determine a final budget they can comfortably afford. When listings are scarce, bidding wars can drive up prices, so buyers must be prepared to walk away if the asking price surpasses their budget.